The cat's magic sailing ship with Admiral Toronto at the helm the Catavenger sailed back through the cloudy mists of time and space. It was leading a small convoy. This consisted of a submarine commanded by captain Calgary, the pinnace Ms. Kitty commanded by captain Vancouver, flying close by was their zeppelin Spirit of Spooky with Saskatoon at the helm. There were also several other small craft acquired or purpose built by Admiral Toronto and crew. At one time the "magic" (for lack of a better term) of the Catavenger could only be transferred to other craft through the use of a silver cord. It wasn't long however before Engineer Spott found a better way. This was a secret only known to he and a very few of the Catavenger's fleet officers. Thousands of years in earth's past they pulled up to the shore off the coast of the Iberian peninsula. Toronto along with his Pride of cats and other crew members anchored the brig and other craft. 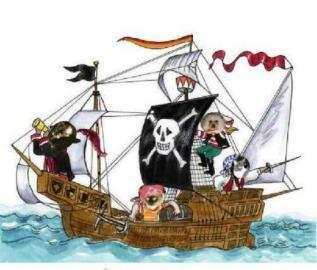 Toronto and a few of the Pride and crew members, from the Catavenger, boarded the Pinnace Ms. Kitty. They sailed the small ship and landed it by a rocky outcropping. The cats and others went ashore where they saw the strange bovines. 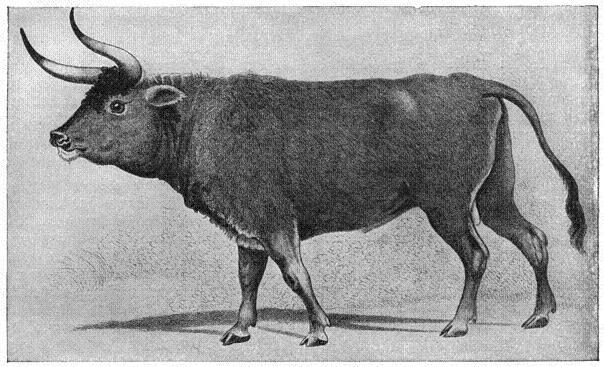 Commander Calgary had been to this time and place before and was acquainted with the aurochs. He extended greetings and introduced the parties to each other. 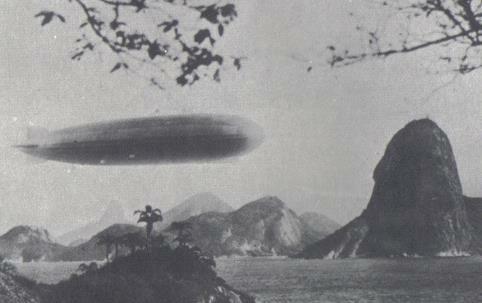 Then as a gesture of good will he radioed (to use a crude and not quite correct term as this equipment was much more advanced) to the zeppelin. It flew over and dropped several bails of alfalfa to the aurochs as a gesture of goodwill. Then with those creatures permission the ship's human servant Shel set up his easel and painted the beast's portrait with his airbrush. Zeppelin "Spirit of Spooky"
Now that the aurochs were very comfortable with the cats and others they extended an invitation for the crew to come ashore and visit. The zeppelin lowered itself and the crew tied it down. The submarine surfaced and more of the crew (in shifts) landed in boats and came ashore. They picnicked and visited with the friendly aurochs. From his long association with the animal crew of the Catavenger and it's small fleet, the human Shel could converse with the telepathy used universally by animals in all times and places. 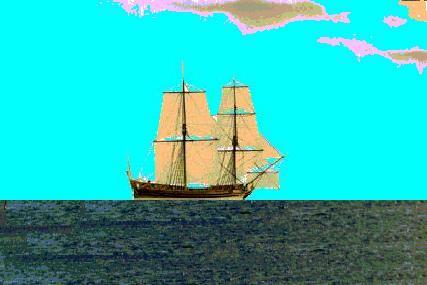 At the end of their visit the commanders and crew of the various vessels boarded their craft. They reformed the convoy and once again sailed to their secret lair on Shelcat Cay, at a time and place known to very few. This Story is Dedicated to my sister and chatters and everyone who puts up with my Moods. 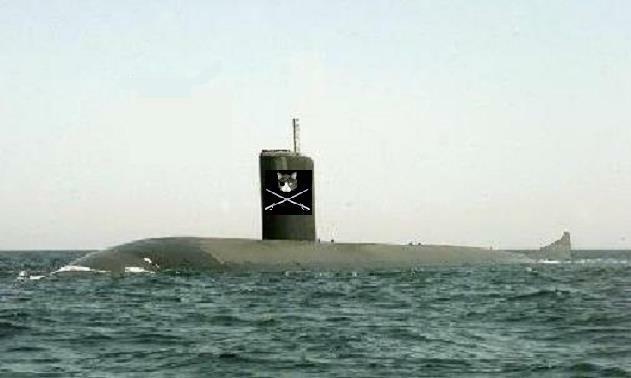 A special thanks from the cat "Pride" to my brother-in-law the original deep water sailor. 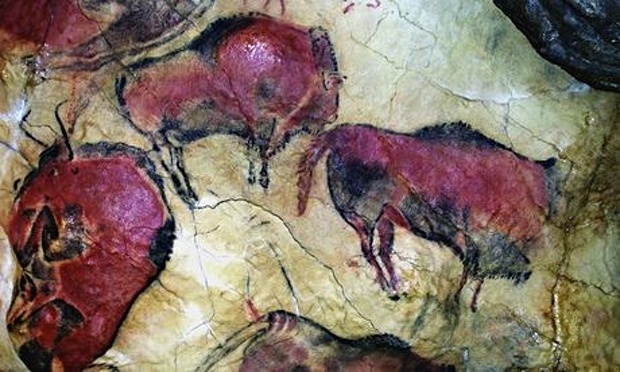 Unfortunately the auroch has been extinct for hundreds of years. However there are programs to breed these magnificent animals back into existence. I have included a link for anyone interested in how this could be done. NOTE: It is my belief that all pictures (not created by me) used in this story have long been in the public domain.